WAEC May/June 2015 result has been released following the statistics that was released by The Head, National Office of the Council, Charles Eguridu at a news conference in Lagos. Candidates can now check their result from WAEC official portal From MID-NIGHT. Presently, you might encounter difficulty in checking your result due to the number of traffic the website is receiving. If you’re unable to check it now, you can try checking it at night when the traffic will be less. 4. Select the year you sat for the exam i.e. 2015. 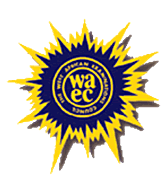 2015 WAEC GCE Result Statistics. “Additionally, the entire results of candidates presented by 185 schools have been withheld while investigations into alleged examination irregularities are being conducted. This number includes 119 schools which were involved in mass cheating the objective test and were identified with the aid of the new anti-malpractice software which were call item deferential profile,” he added. A total of 268,771 candidates took part in the exams from 868 public and private second cycle schools. Neco 2015/2016 Result Is Out….Check Yours Now….